Click on one of the items below that pertain to what you are shipping. Showroom Transport can ship your atv anywhere in the USA. 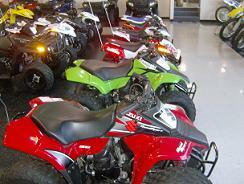 We ship all types of ATV's and UTV's. Showroom Transport can ship your car, suv or van on an open car carrier. Most vehicles ride fine on an open car transporter. Showroom Transport can ship your car in an enclosed vehicle hauler. This will protect your vehicle from outside elements. Showroom Transport can deliver your helicopter safely on a flatbed trailer. We also can move your small aircraft anywhere in the USA. Showroom Transport can ship your boat if it is already on a trailer. 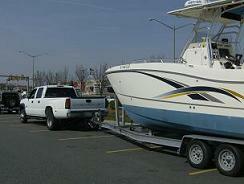 We hook up our truck to your boat on trailer and move it to where it needs to go. If you have a smaller boat, we can haul it on a low trailer. Showroom Transport can hook up our truck to your trailer and take it where it needs to go. 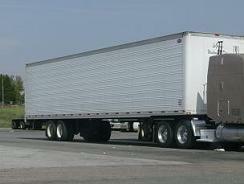 Whether it is a box van trailer or any other type of trailer, Showroom Transport can deliver it safely. 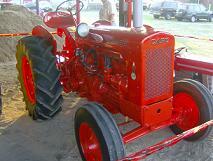 Showroom Transport can safely move your tractor anywhere in the USA. We have trucks designed to move your Tractor the right way for an affordable rate. Showroom Transport can move your forklift anywhere in the USA. 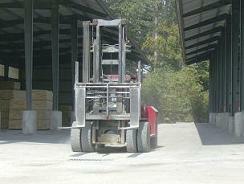 We have many types of trailers to haul your forklift on. Whether it is a manlift or most anytype of forklifts we can transport it fast, safe and right! Showroom Transport can move your Trike or Motorcycle safely in an enclosed carrier. We know how important it is to you to get your trike or motorcycle to your fast, safe, and with no damage. Showroom Transport can move all types of golf carts and gem cars. If you want your golf cart moved safely, we are the company to choose. 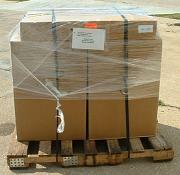 Showroom Transport can move your freight whether on a pallet or in a crate, we can do it right. Showroom Transport has trucks designed to move overwide and very heavy equipment. Showroom Transport can move most types of equipment including skid steers, backhoes, excavators, pavers, etc... big or small we can ship your equipment safely and quickly. 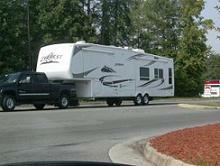 Showroom Transport can move your motorhome for you on a lowboy trailer. 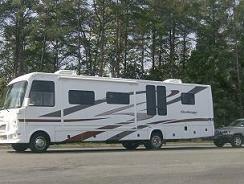 We have moved so many motorhomes across the country in the past few years. Showroom Transport can move your jet ski on a trailer safely anywhere in the USA. If you have 2 jet skis on a single trailer, we have no problem moving that.